As you are probably already aware, Medicaid is a medical assistance program for individuals and families with low incomes and special needs. Although Medicaid is a federally administered program, each state has its own policies and eligibility requirements. Therefore, Medicaid is best thought of as a program that is administered on both a state and federal level. Colorado Medicaid can be applied for through the Colorado Health Care Policy and Financing Department, or you can visit your local Department of Social Services for more information. In Colorado, you may be able to qualify for Medicaid if you receive TANF. TANF is an acronym which stands for Temporary Assistance for Needy Families. Of course, even if you are not currently participating in the TANF program you still might be able to qualify. Your local Human Services worker at the Department of Social Services can go over all your income and expenses and let you know whether or not your family qualifies. You might also qualify for Colorado Medicaid if you are under the age of 19. Children under the age of 19 can get Medicaid based on their family’s income and expenses. If you are pregnant, you may also be able to get Medicaid for yourself and your baby both during pregnancy and the postpartum period. Another special circumstance that may qualify you is if you are a foster child or adopted child placed in a home by a County Human Services office. 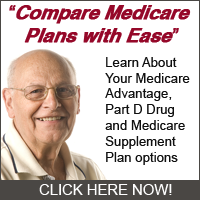 Even senior citizens may be able to receive Medicaid. If you receive Colorado Old Age Pension (OAP) or SSI benefits, you may also be able to qualify for Medicaid. There are special programs under the Qualified Medicare Beneficiary Program for those who require home health care or nursing home care because of age or disability. Individuals who require long term care, whether they are senior citizens or not, may also qualify. This would include individuals who are blind, disabled or suffering with traumatic brain injury. If you have questions about how Medicaid works or whether you or your family can qualify, a good first stop is your local Health and Human Services office or Department of Social Services. You will be assigned a case worker who can determined your eligibility and answer any questions you may have.